Regent Releasing has sent us the trailer for the stop motion animated film $9.99. 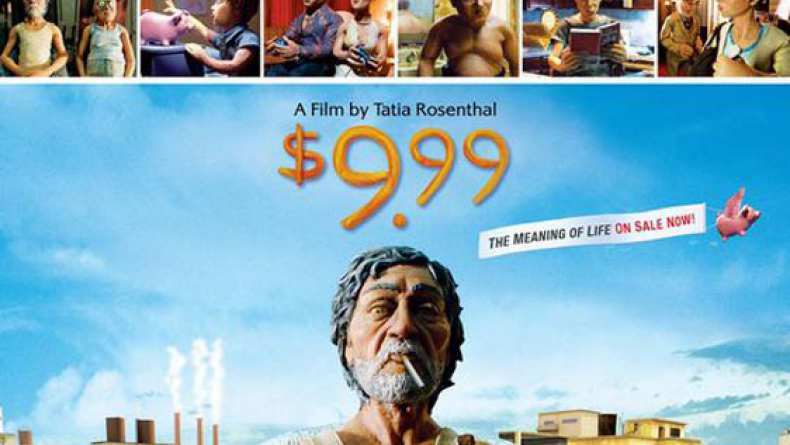 Based on the Short Stories of Etgar Keret, and adapted for the screen by Etgar Keret and Director Tatia Rosenthal, $9.99 is a stop motion animated feature which offers slightly less than $10 worth about the meaning of life.. This is the ad that alters the life of the unemployed 28 year old who still lives at home, Dave Peck. In his struggle to share his find with the world, Dave¡¦s surreal path crosses with those of his unusual neighbours: an old man and his disgruntled guardian angel, a magician in debt, a bewitching woman who likes her men extra smooth, a broken hearted man who befriends a group of hard partying two inch tall students, and a little boy who sets his piggy bank free. Their stories are woven together, examining the post-modern meaning of hope.